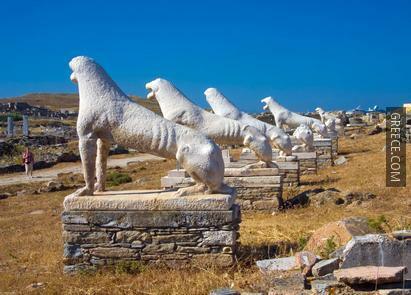 Delos is located in the southern Aegean, a few kilometers off the west coast of Mykonos. It is the smallest of the Cyclades group, having an area of 5km². 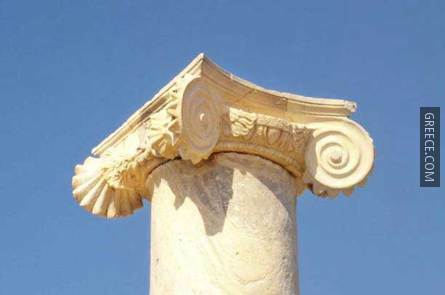 Nowadays, the island is virtually uninhabited, but in ancient times, it was famous as a shrine of Apollo and as a trading center of the early Greeks and Romans. 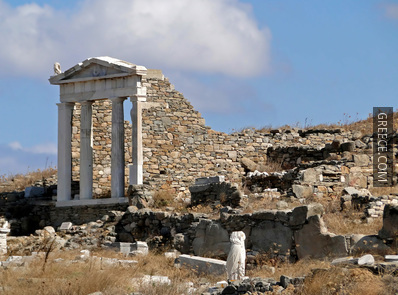 Delos is one of the most important archaeological sites in Greece, and certainly the most important in the Cyclades. 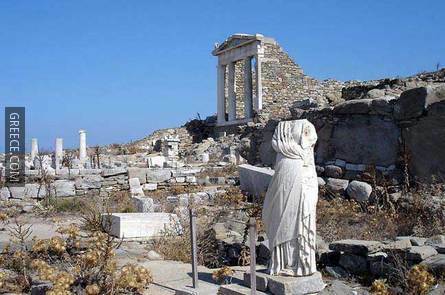 Also, Delos is now part of the World Cultural Heritage and is protected by UNESCO. 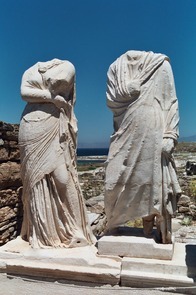 According to mythology, Delos was the birthplace of Apollo, god of music, and his twin sister Artemis, goddess of hunting. Leto, their mother, was seduced by Zeus, as many goddesses and mortals were. When Hera, Zeus' wife, learned about Leto's pregnancy, she banned her from the Earth, so she wouldn't be able to give birth. 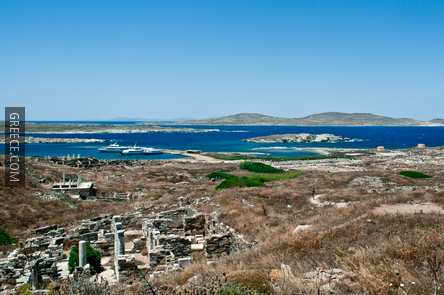 Poseidon, god of sea, helped Leto by revealing the island of Delos, called Ortygia at the time. 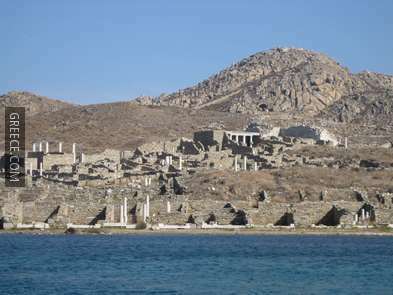 As a result, the island got renamed ("delos" means revealed). The earliest inhabitants of the island were Ionians, who brought the worship of god Apollo. During the 5th and 4th century B.C., the Athenians organized what they called purification of the island, forbidding the burial of the dead. 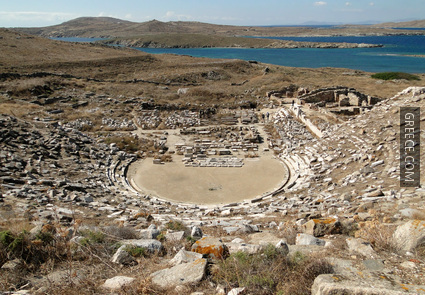 Later on, Delos came under the protection of the Ptolemies of Egypt, successors of Alexander the Great. 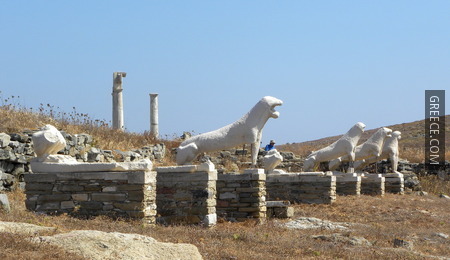 The Roman period was the most prosperous and wealthy for Delos, which became an important port. 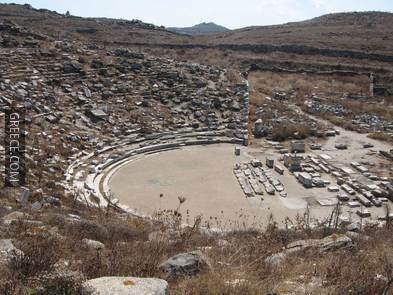 In 166 B.C., the Romans restored control of religious worship to the Athenians and permitted the island to become the seat of extensive commerce and a large slave market. 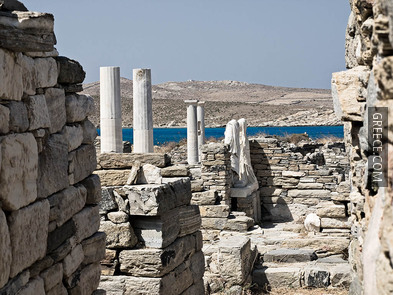 In 88 B.C., Delos was destroyed during the First Mithridatic War and never recovered its prestige and prosperity. The history of the island appears to stop at that point, as no historical information has been kept or discovered. 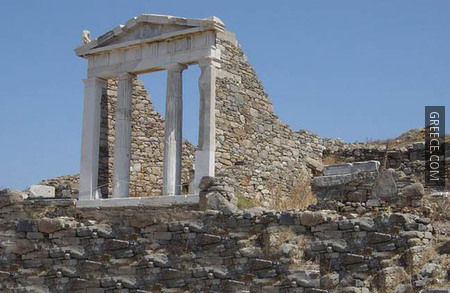 The island of Delos can be reached by taxi-boat from the island of Mykonos (20 minutes). Boats also leave from Tinos and Paros.